When I sat down to polish my nails the other day, for some reason, the image of a card I received was in my head. 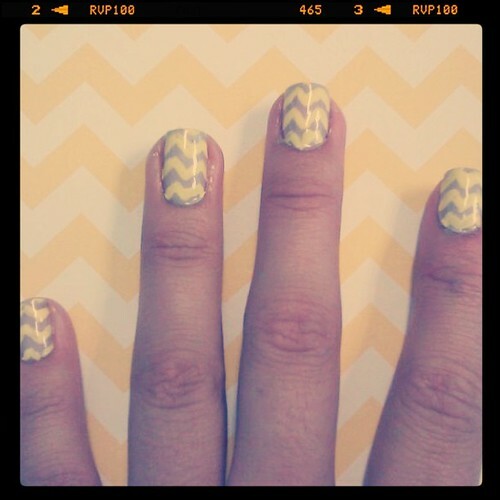 Inspired by the yellow zig-zag striped design, I carefully freehanded a similar design using my new nail brush. I started off with two coats of OPI's Moon Over Mumbai and painted the yellow stripes on with Butter London's Cheeky Chops. Seche Vite's Fast Dry Top Coat not only sealed and protected the polish, but it gave my streaky strokes a smoother appearance. With today's look, I've entered Nicole by OPI's Nailing Your Style Contest for a chance to win the entire Nicole by OPI polish collection. 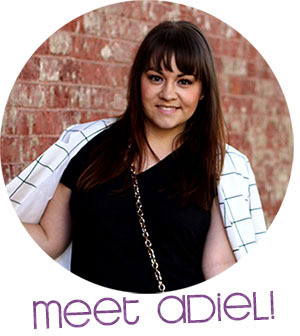 It would mean so much to me if you would click through and vote for my look! And please tell your friends to vote for me because the look with the most votes wins! http://hermeskelly.finniwolf.com it has higher the cost of living in the north, which has been higher than average initially due to the price of shipping food in conjunction with other personal needs to singled out north communities. A high-quality sun block lotion plus moisturizer is of great help. often you're considering, "absolutely, we might behave toward one exactly the same way, almost certainly.